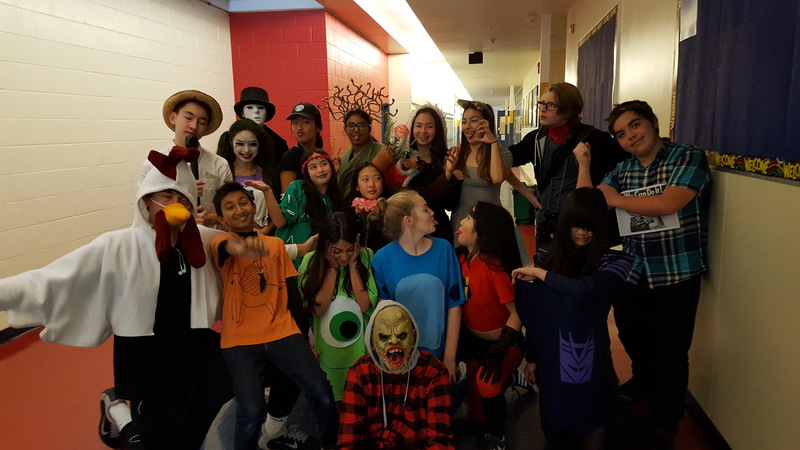 Our costumed grade 9s this year in their silliest pose ever! Check the Photos page for the straight-faced one! Special guest appearance by Leon P.